Love at First Cider Pillow: An Adorable Fuzzy Plush to Snurfle and Squeeze! It's cold and wet and icky outside! You need a nice warm cup of something to stave off the winter, but coffee is too caffeinated, tea is too fancy, and hot chocolate is just too...chocolatey. Whatever shall you quaff while curled up on the couch while cuddling a kitty? Why, hot mulled cider, of course! And could there be a better location for a mulled cider recipe than on the very same pillow on which you're resting your fuzzy socks? No indeed! 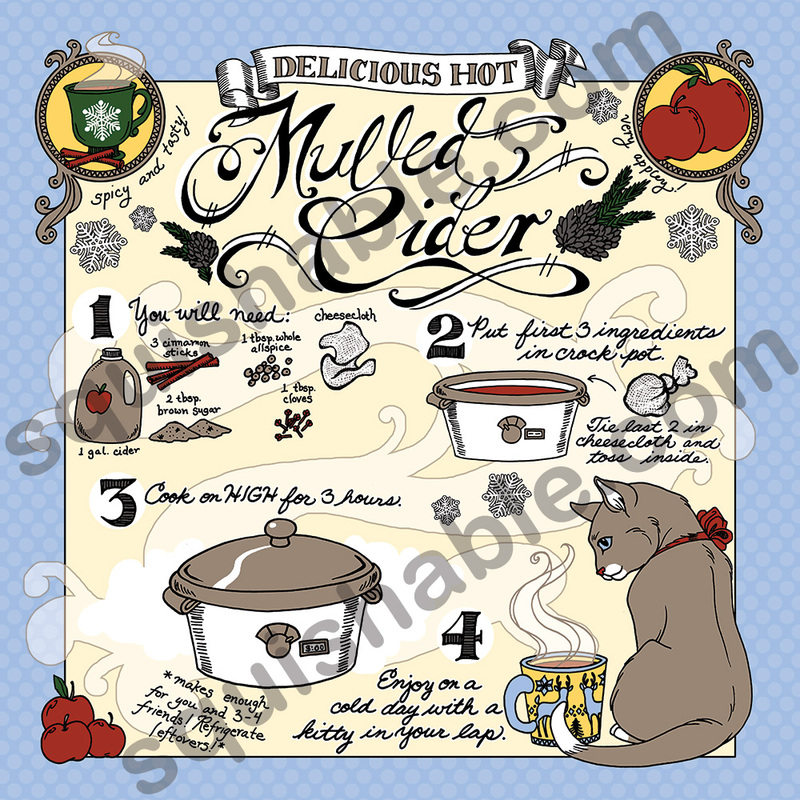 Not only does this comfy cushion tell you everything you need for a warm, spicy, apple-y cup of cider, but its serving suggestions include holding a kitty in your lap. What a coincidence! I have been in love with this pillow for a while, but never got the chance to purchase it until a kind fellow squisher gave me a gift certificate! I ordered this awesome pillow during the Labor Day sale and I'm excited to say that this recipe is going to be one of the first recipes I'm going to be doing with my crock-pot! Not to mention that this pillow is super comfy and perfect for the Fall season!